Who doesn't love Peeps? Well, besides me. I don't like the tingly feeling on my tongue, but Peeps are oh so cute and perfect for preschoolers crafts. I found these 8 adorable things to do with marshmallow Peeps. Did you know they even have an entire store dedicated to these cuties? 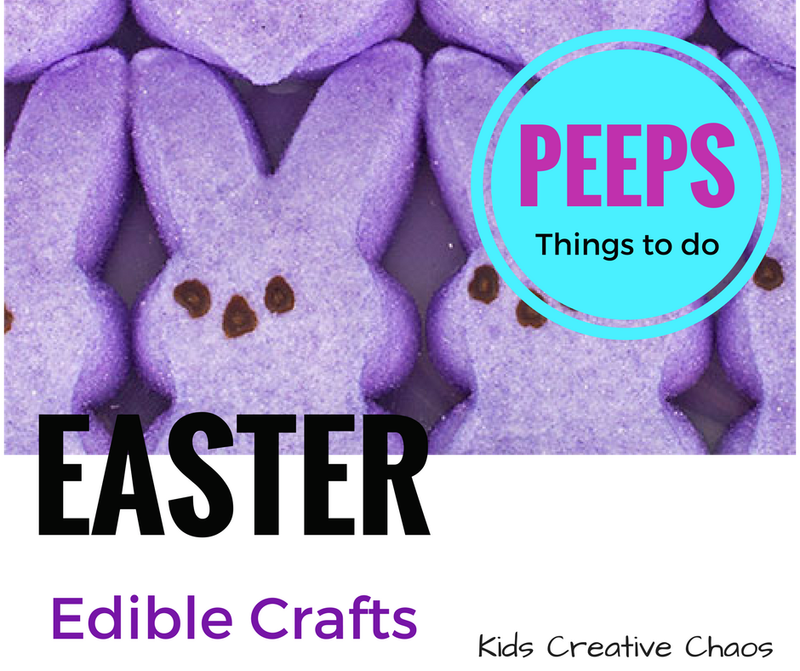 You can make all of these Edible Peeps Crafts at home with your kids. 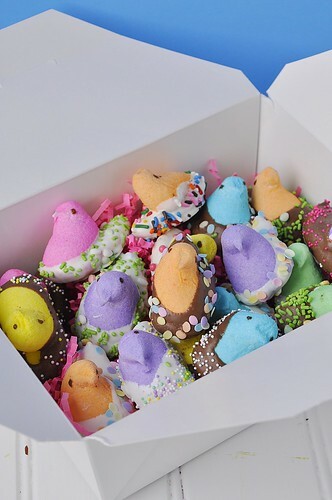 I was inspired to surf for recipe ideas for easy edible Easter crafts after visiting an old-fashioned candy store selling chocolate covered Peeps. Everything in the store was decorated in pastels for Easter and the store windows were straight out of Wonka's factory. The Peeps from Your Home Based Mom pictured below are similar. Chocolate Covered Peep Chicks Recipe from Your Homebased Mom. An M and M's Peep casserole! Yes, we're gonna try this Peep's Casserole from The Party-Animal Blog. Did you know you can make a chocolate Peeps casserole? This one from The Party Animal-Blog looks fantastic even to me. I'm going to try to make the recipe for Easter this year. 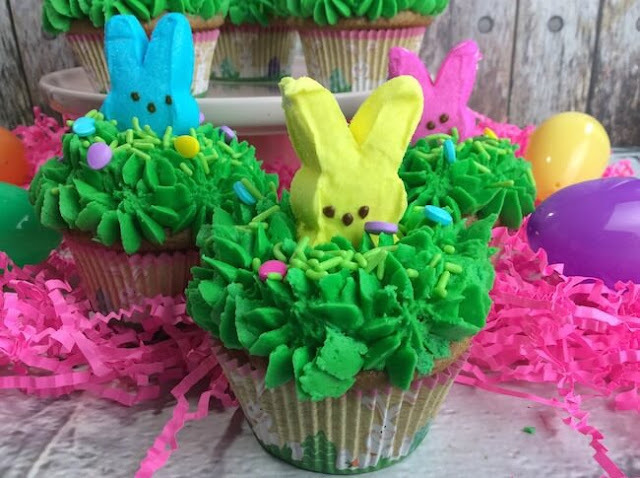 The Soccer Mom has an awesome, adorable Peeps Cupcake recipe. Check it out! Peeps Easter Cupcakes from Soccer Mom. 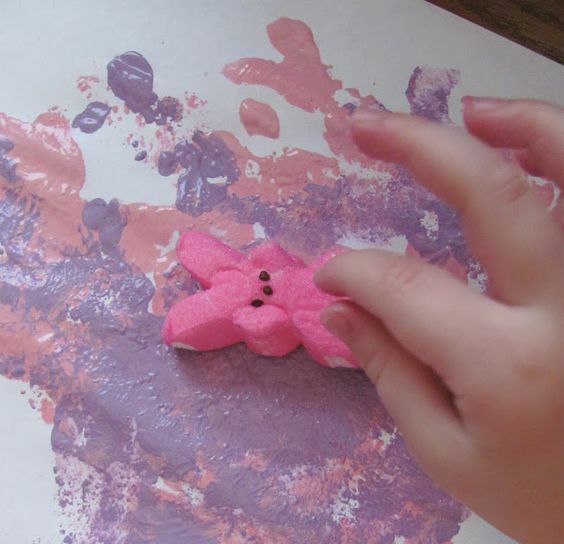 Painting with Peeps is the perfect activity for preschool kids. This one from It Mom is super cute, but I'd do it with edible paint. We have lots of different recipes here just search in the browse us bar for "edible paint." Painting with Peeps from It Mom Blog. Inspire Me Crafts offers up "dressed up" Peeps dipped in chocolate and looking like a bunny bride and groom. Wouldn't they be cute wedding party favors for a spring bridal shower? Pair them with the Peeps topiary below for a fun, spring theme bridal shower. Make S'mores with Peeps like Electic Recipes did. 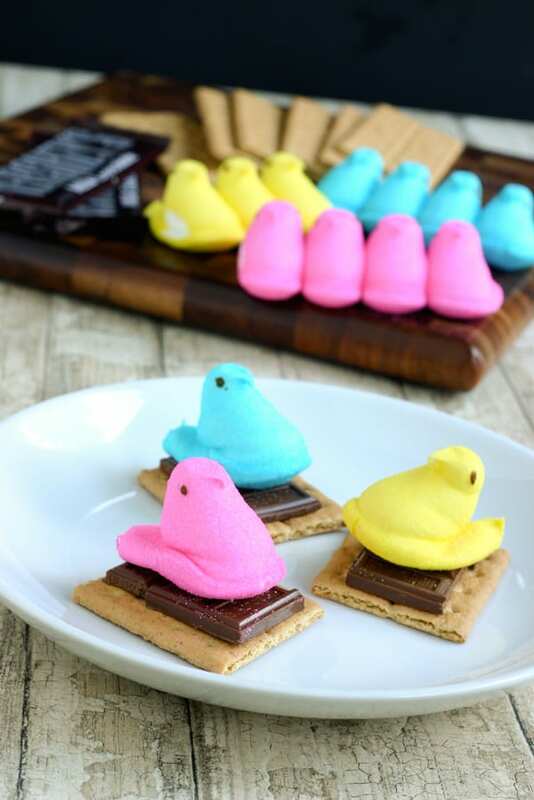 Peeps Smore's is an easy, fun edible craft for kids. They can construct them and you can pop them in the microwave. This idea came from Electic Recipes. Finally, this home decor idea for Easter is perfect for a kid's party. The Peep's Topiary from CraftsnCoffee is easy to make with kids. What are you crafting up this Easter? You better hurry, if you are wondering when is Easter this year? Easter is April 16, 2017.